Drivers on the East Bay freeway near San Francisco had to contend with more than just a little traffic on Saturday night. 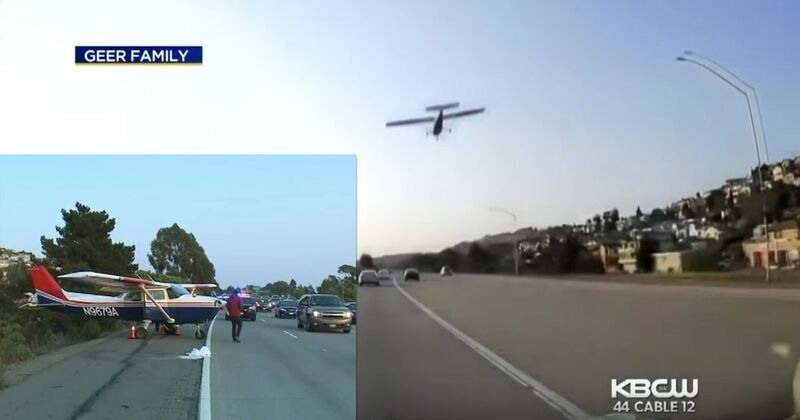 This dashcam footage shows the moment a single-engine Cessna passed the car of the Greer family overhead, on approach to making an emergency landing on the busy road. The plane had developed a fuel pump problem shortly before the plane reached the pilot’s intended final destination of Hayward Executive Airport, having flown to the Bay Area from Lake Tahoe. 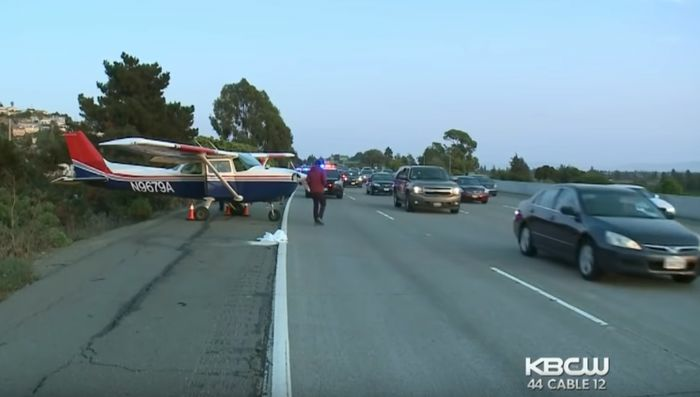 According to the Greers, the pilot appeared to hold the plane over the road and wait for a sufficient gap in the traffic to open up, before making the emergency landing. The landing was a success, with neither the plane’s two occupants nor any road users harmed in the process. The Cessna was later loaded onto a truck and transported to Hayward.